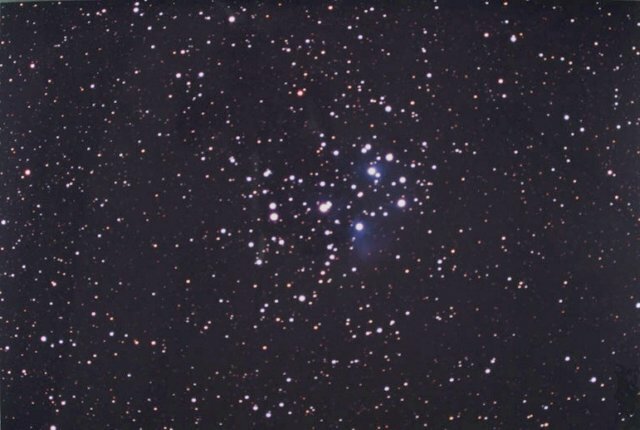 Yet another shot of this wonderful open cluster. Taken through the Pentax 10cm astrograph @ f/4, piggy-backed on the C-14. Also the tradmark of car maker - "Subaru", which is Pleiades in Japansese. Taken by Chris Beere of the UK, using Kodak Ektachrome E200D Pro, 40 minutes exposure.